UKS support oversea customers on kiosk shipping ,we can provide door to door service. UKS build food kiosk in a way that very easy to assemble. just 2-3 workers can finsihed install work. Food Kiosk For Sale – UKS is a leading designer and manufacturer of food kiosk ,coffee kiosk , ice cream kiosk and other mall kiosks, we start building kiosk Since 1996. and start exporting kiosk on 2005, we have experienced design team and skilled worker to make sure our qulity are always stand at the international level and provide the best kiosk price all over the world. Juice Bar Kiosk Design – UNIQUE also provide us a platform that we can build a juice bar or beverage fast food kiosk in a short ,easy ,and no headache way,No matter what kind of juice bar kiosk you need, as far as you can think ,as far as your ideas reaches, UNIQUE always satisfy your kiosk design. Mall Kiosk For Sale – UNIQUE is specialized in mall used food kiosk and juice kiosk design , we provide best kiosk business ideas and kiosk price for indoor and outdoor, when you planing to start a food business or juice bar ,Unique will be your best manufacturer. 1- Contact our sales & discuss your specific requirement regarding the kiosk design . 3-Sign the contract after the design approved .you pay 50% deposit and we start to build the kiosk. 4-when goods finished ,You need to pay banlances payment . 5- Packing & Shipping for kiosk to your destionation Address. 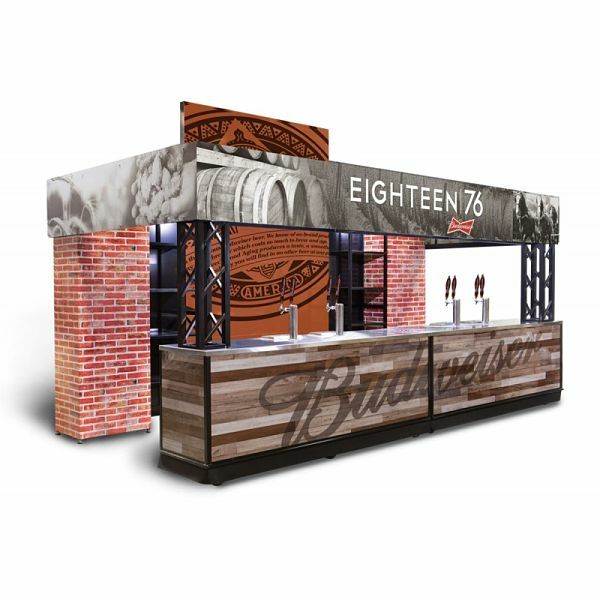 Food Kiosk for sale and beverage juice bar design are mainly used in shopping malls, city center ,supermarkets,airport ,train station, monopoly stores and other public areas. 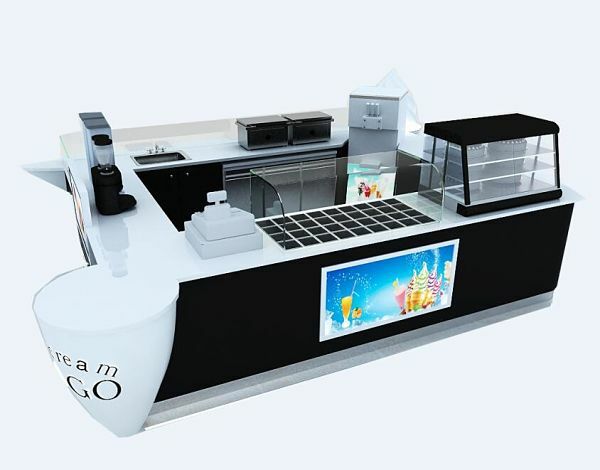 Not only to display snack or make fast food, fresh juice service with the appearance of personality, powerful functions. But also with advertising effect. So as to achieve better profit purposes and attract passerby’s eyes. UNIQUE is a leading food kiosk manufacturer in China, We had already successfully supplied mall used food kiosk and juice bar kiosk for UK, USA, Canada, Dubai and Australia ,as well as some other countries and cities. 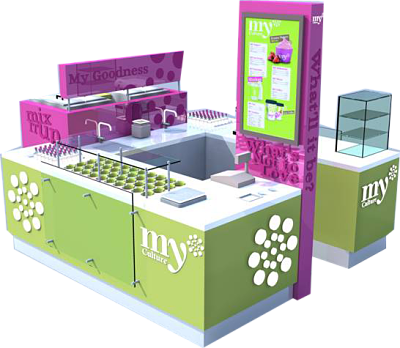 Kiosk and juice bar counter From UNIQUE are in high quality and easy assemble , we provide design-programming- manufacturer- shipping one stop solution for all your mall kiosk . 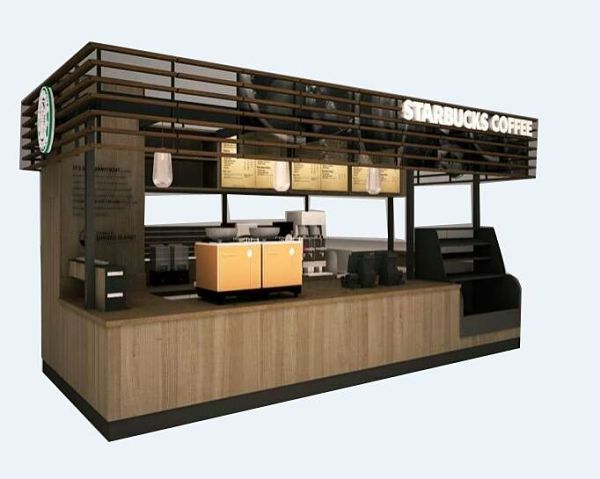 We have design and build food kiosk for sale and juice bar kiosk design for “Starbucks”, “i love coffee”, “My culture “,and some other brands, Our professional work and great service won us a famous name in kiosk exporting industry . We use plywood and solid wood for building the structure of the food kiosk , and inside and outside will be lamination , Counter top of kiosk and bar counter will be applied with man made stone , quartz or marble , in case the bottom to display equipment , we will use metal frame to give strength. the whole kiosk will be in a strong and elegant way under construction. Kiosk from UNIQUE are best seller used in franchise business , we offer the competitive price and unique design with LOGO and enterprise advertising ,best quality and unique design is our forever pursuit.you can never find a better price with the same quality as us.